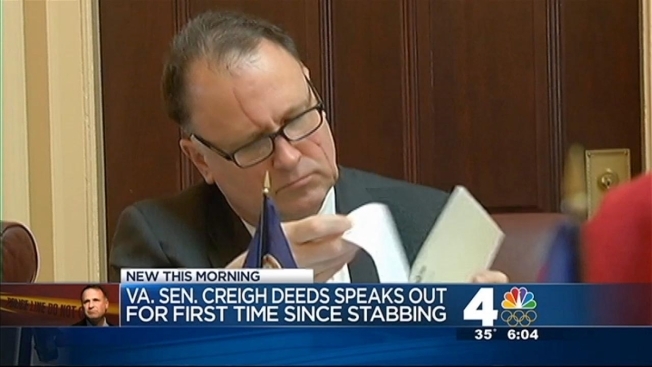 Virginia State Senator Creigh Deeds (D-Bath) spoke with his hometown newspaper this week, sharing for the first time the details of a brutal attack that left him injured and fighting to reform Virginia's mental health system. Deeds, who was stabbed by son Austin "Gus" Deeds in November, told "The Recorder" that his son began acting strangely about three and a half years ago. 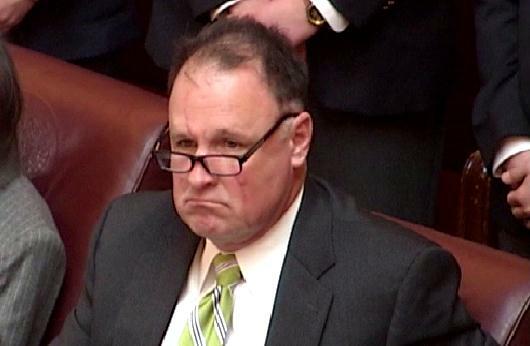 The state senator said he took steps to have his son involuntarily committed twice in 2011, but because of privacy laws, he never knew if his 24-year-old son's condition was ever diagnosed. He continued to work to get Gus the help he needed, but just before the Nov. 19 attack, Deeds learned that Gus had been missing appointments with local mental health professionals and was writing about disturbing things. For a third time, Deeds had an emergency custody order issued for Gus. But when the order for Deeds' son expired before a treatment bed could be found, the two went home. “Some time that night, Gus determined I was evil and needed to die...,” Deeds told The Recorder. Gus stabbed his father multiple times in the head and upper torso before turning a gun on himself. Gus was pronounced dead at the scene. Deeds, 55, was able to walk out of the home and down a hill on his Bath County property, where he was spotted and picked up by a cousin. Deeds was later airlifted to University of Virginia Medical Center, where he learned of his son's death while recovering from his injuries. Deeds said he lost part of his tongue in the attack, which makes speaking difficult. He also lost some feeling on his right side. Deeds was welcomed by applause as he returned to the state Capitol Wednesday. As the session began, there was no special acknowledgement of the tragedy but a deep, reddish scar was clearly visible across Deeds' forehead and face. Since the incident, reform of the mental health system in the commonwealth has become a top priority for the 2014 session. Deeds himself has proposed three bills, including one that would increase the maximum time of an emergency custody order from the current six hours to 24 hours. Lawmakers promise a bipartisan approach tackling the issue of mental health reform. A mental health task force charged with making changes to help those in crisis also began its work this week. Gov. Bob McDonnell created the panel in response to the death of Deeds' son. "Everyone who's worked here the last two decades knows Creigh Deeds, knows he's a good man and is suffering right alongside of him, knowing what he's endured with Austin, so we are going to do everything we can to make changes this session," McDonnell has said.